New Mexicans honor public service with special recognition days at the New Mexico State Fair in Albuquerque. But with a Walgreens Mega Pass, everyone can enjoy a great deal on admission. The fair highlights the culture, agriculture, art, and beauty of New Mexico while also featuring entertainment such as carnival rides, the PRCA rodeo, and special evening concerts. During the festival, special events take place along Main Street, including car shows, petting zoos, and more. 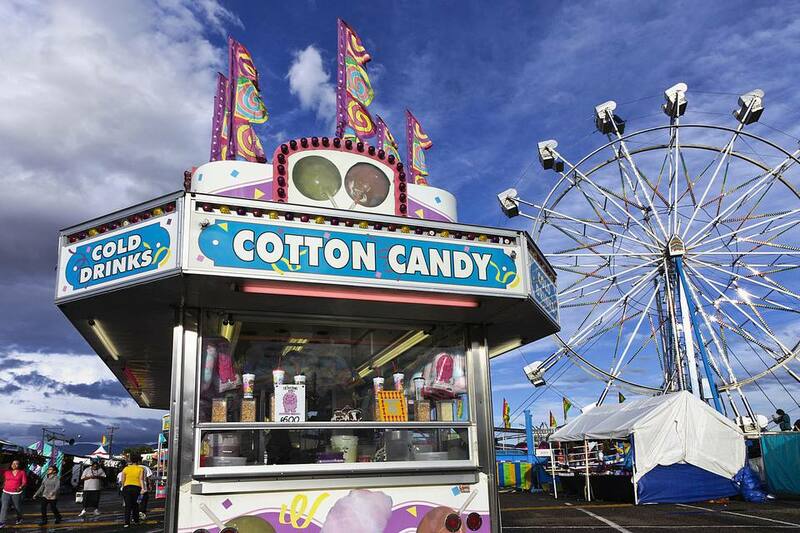 The New Mexico State Fair Commission puts together this calendar of modestly priced entertainment for everyone, but it also offers discounts and deals to help special visitors save a few dollars. Recognition days to honor New Mexicans who dedicate their careers to public service let firefighters, law enforcement personnel, military veterans and active duty personnel, and teachers get in for free. The fair runs from September 6 to 16, 2018, with $10 general admission for adults, and $7 for children 6 to 11 and seniors age 65 and older. Wristbands for unlimited carnival midway rides cost $12 to $35, depending on the day. You can also purchase a Mega Pass in advance at any Walgreens location. The fairgrounds open at 10 a.m. every day, though the midway does not open until 2 p.m. during the week. The fun continues until 9 p.m. except for Friday and Saturday night, when everything stays open until 10 p.m. The Walgreens Mega Pass ticket costs $28 for admission plus unlimited carnival midway rides. You can purchase the pass, good for one day at the fair, at Walgreens stores throughout the state; it provides the most affordable option for Fridays, Saturdays, and Sundays when gate prices increase, shaving $17 off a regular adult admission plus ride wristband. Mega Passes purchased through Walgreens also work as a fast pass that allows you to bypass the standard ticketing lines and enter the fair more quickly. Everyone qualifies for a great deal at the New Mexico State Fair, but for teachers, firefighters, law enforcement officers, and military veterans and active duty personnel, special recognition days make it even more affordable. Law Enforcement Day: On Thursday, September 6, all certified law enforcement personnel with a valid ID or badge get free admission; accompanying friends and family pay just $2 for admission and $12 for unlimited carnival midway rides. Firefighters Day: All firefighters with valid ID or badge get into the fair for free on Friday, September 7. Teacher Appreciation Weekend: Beginning on Friday, September 7, and extending through Sunday, September 9, all K-12 New Mexico teachers with school-issued IDs get into the fair for free. Military and Veterans Day: Tuesday, September 11, honors active duty and retired military service members who enjoy the fair for free with a valid ID. General admission for non-military is just $2 and as a bonus, it includes the PRCA rodeo, in the general admission seats. Dollar Day: On Wednesday, September 12, admission to the fair costs $1 all day. Rides also cost just $1 each, with a minimum purchase of 10 rides required. The fair doesn't outside food or drink, so trips to the lineup of food vendors can tack on to the price tag of admission. That's when timing becomes everything, thanks to the fair's "Graze Days" promotion. On Thursdays from 11 a.m. to 4 p.m., food vendors throughout the fair will offer smaller portions of select entrees for $3, allowing you to taste fair favorites without overspending (or overloading). You can park at Gate 1 on Central for $10 daily during the week and $20 Friday through Sunday, with lower rates during the week. Gate 8 on Louisiana offers $5 parking all week, but it can be hard to find a spot. Free handicap parking is available at Gate 1. A park-and-ride option from nearby Coronado Mall operates for free on Saturdays and Sundays.